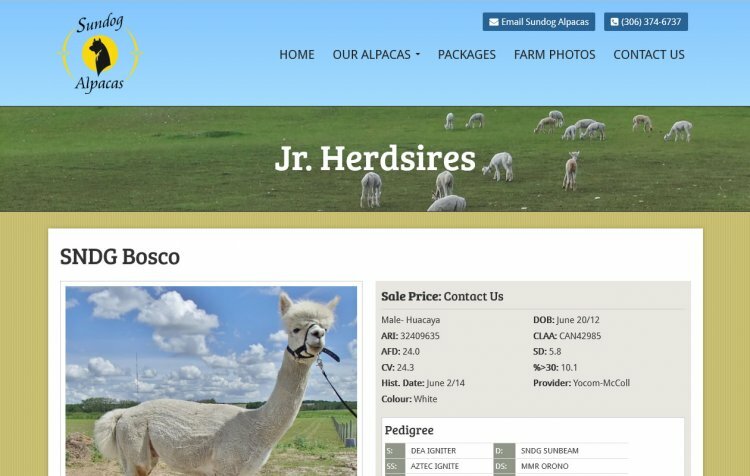 Since its inception, Sundog Alpacas has focused on the selection and breeding of top quality alpacas. They maintain animals with fine and abundant fibre, and strong conformation. All are registered in Canada (Canadian Llama & Alpaca Association) and the United States (Alpaca Registry Inc.). Sundog Alpacas is owned and operated by Rodney & Gillian Weber with help from our 3 children and their spouses and 7 grandchildren. In addition to maintaining a top-quality herd, they value the opportunity to contribute to the alpaca industry.